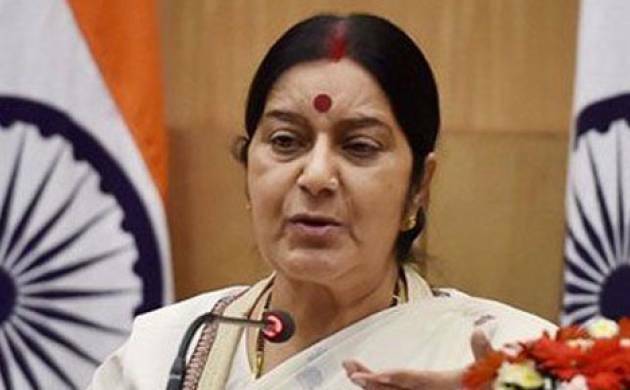 There is no quid pro quo with China on the issue of stapled visas being given to Arunachal Pradesh residents by Beijing and sufferings of the Tibetan people, informed External Affairs Minister Sushma Swaraj to a question to Rajya Sabha on Thursday. The external minister responding to the supplementaries on the issue of stapled visa to Arunachal Pradesh residents by China said, “the issue has been raised in every bilateral meeting at various levels by us. Be it at my level or that of the Prime Minister." Swaraj talking about India’s stand on Tibet said, “We used to earlier talk of one China policy, but we used to say that Arunachal Pradesh is an integral part of India. And when we say that, we want that China should also recognise this. Our policy has been made very clear." She added that Dalai Lama wanted to visit Tawang and "we allowed him to do so". This is not the first time he is visiting that place. "We have lodged our protest over the issue that goes against India’s interest, " Swaraj said. She informed the house that there was no policy under which Chinese companies are denied security permission and also objected to a member raising the issue of a particular Chinese company in the House. Swaraj added that denial of security permission to a particular company cannot determine the relations between countries. The external minister also informed the house that there is a process and incase Japanese or a Korean company applied, they get it first. She added the house that there is no official information from China regarding cancellation of visits of Indian journalist to Tibet to a question on Indian journalists being stopped from visiting Tibet by China.